Cross train with the cross training fan bike. 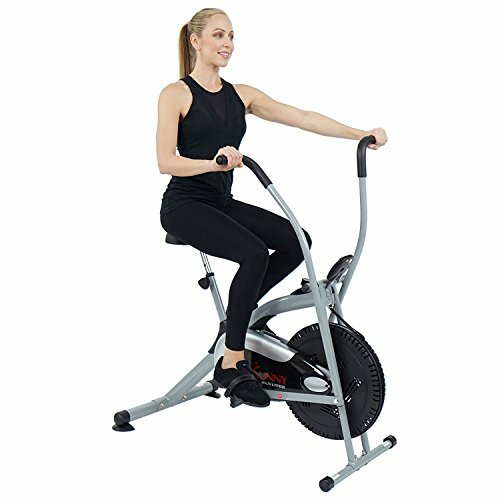 This bike works the arms and legs simultaneously to give you an efficient workout. Burn more calories in less time, depending on the intensity. Customize your workout with a Micro tension resistance system. In addition the unique fan wheel design allows for air to ACT as additional resistance. The fully padded seat adjusts to your height to get the most ergonomic fit. This bike can conveniently be placed in any room in your home. There are wheels for easy portability. The digital meter can track your workout progress by displaying your time, speed distance, and calories. The convenient scan feature will allow you to view all of your workout progress hands free.